In 1899, Jersey City, New Jersey signed a contract with a private water company to build a new water supply on the Rockaway River to supply up to 50 million gallons per day. Included in the contract were requirements to build a large dam, create a reservoir holding seven billion gallons and construct a 23-mile pipeline-tunnel conveyance to transport the water to the City. The contract specifically required that the water delivered be “pure and wholesome.” No treatment was provided for the water except the clarification and opportunity for bacterial die off provided by the detention time in the reservoir. Delivery of water from Boonton Reservoir began on May 23, 1904. However, the City was not happy with the quality of the water or the price that they would have to pay for the water works. They filed a lawsuit against the private water company that resulted in two trials. The first trial focused on the bacterial quality of the water and how that quality stacked up against the requirement that the water must be pure and wholesome. The contract language was very specific. The judge’s opinion from the first trial made clear his definition of pure and wholesome. At the end of the first trial, the judge agreed with Jersey City that two or three times per year, the delivered water had high bacterial counts and did not meet the standard of pure and wholesome established in the contract. A second trial was held under the authority of a Special Master. Between the two trials, John L. Leal who worked for the private water company installed a chlorination system to kill the bacteria that resulted in the project’s water being labeled as impure and unwholesome. The purpose of the second trial was to determine if the use of chlorine was safe, reliable and effective. Most importantly, the second trial was to determine if the standard of pure and wholesome was met when chlorine was used. On May 9, 1910, the Special Master filed his report, which was a victory for the private water company and for the use of chlorine to kill bacteria that contaminated drinking water. The usage of the term in this lawsuit seemed to be clear, but I was not satisfied. I wanted to know where the term came from, did it describe safe drinking water and did its definition change over time? The first use of “pure and wholesome” is lost in the dim mists of history. However, it is likely that humans have used the concept embodied in the term since the beginnings of the written record. There are numerous examples of the use of the term in religious tracts, literature, scientific writings and news items. It is also clear from the early references that people were defining pure and wholesome based on their senses of sight, taste, smell and touch (feeling). One hundred and fifty years before the germ theory of disease was espoused, one author in 1718 tried to explain how the cleanliness of air and water were related. As our understanding of disease and toxicology became more sophisticated, the interpretation of pure and wholesome became more complicated. In 1915, sanitary engineer John W. Hill published a paper about the history of the City of Cincinnati water works. In 1865, the City hired James P. Kirkwood who was, perhaps, the most famous water engineer of the time to determine whether a new and expanded water supply was necessary. The Ohio River had a number of quality problems that generated complaints from the users. Kirkwood recommended clarification in large basins followed by filtration using slow sand filters. While none of his recommendations were followed, it is interesting to note Hill’s take on the definition of pure and wholesome that was operative at the end of the Civil War. “In Mr. Kirkwood’s day not much was known of bacterial purification of water and his terms for a pure and wholesome water was that it should be “clear and colorless.’” A filtration plant would not be built in Cincinnati until 1907 and continuous chlorination would start as late as 1918. In 1907, a famous sanitary engineer, George C. Whipple, wrote a book entitled The Value of Pure Water. In the book, was one of the more complete definitions of pure and wholesome for that time. “To define the meaning of the expression “pure and wholesome water,” which is so often found in water supply contracts, would seem to be an easy matter, after all the study that has been given to the subject in recent years; but, although every one knows in a general way what is implied by this expression, yet when it comes to framing a definition in positive scientific terms, the problem is not as easy as it seems. This is not because the chemist and the biologist do not know what pure water is, but because water has so many attributes which have to be taken into consideration, and because these attributes vary in importance in every instance. ‘Pure and wholesome water’ is not a substance of absolute quality. Strictly speaking, pure water does not exist in nature; all natural waters contain substances in solution or in suspension; and in proportion as these substances are present, and in proportion as they are objectionable in character, the water is impure. Definitions of pure and wholesome water, therefore, generally state what foreign substances shall not be present, or in what amounts they are permissible…. A few years later, authors from the UK took up the task of defining the term based on chemical and bacterial constituents. “Under the Public Health Act and Waterworks Clauses Act all water authorities are required to provide and keep in any waterworks invested in them a supply of ‘pure and wholesome’ water”… Wholesomeness…is purely a medical question, whilst purity must be physical and chemical. As a physically or chemically pure water does not occur in Nature, and has defied all efforts to obtain it, obviously it signifies ‘hygienically’ pure, that is, a water pleasing to the senses…. We are, therefore, of opinion that water taken from a properly protected river and submitted to a proper system of purification, if it is free from visible suspended matter, free from colour, odour, and taste, free from all bacteria of a type indicating the possible presence of disease-producing organisms,,,and contains no matter of mineral origin which in quality or quantity would render it dangerous to health, is a water which can be properly designated as ‘pure and wholesome.’ The same would apply to water from any other properly protected source, be it well, spring, or surface water…. Turbid waters, or waters containing visible suspended matter, need not be unwholesome, but they are not pure…. A water with any kind of odour should be considered as impure so long as it retains this odour…. The article continues with some interesting but contradictory judgments about what was pure and what is wholesome. A new approach that defined safe drinking water was sorely needed to overcome the variations in narrative descriptions of pure and wholesome. 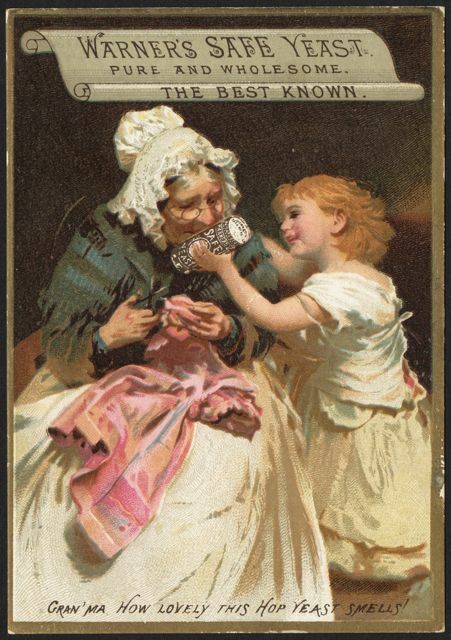 The term pure and wholesome had a lot of power 200 years ago. Even though it was not precisely defined, people thought that they knew what they were talking about. As time passed, the meaning of pure and wholesome changed. As shown above, the meaning changed as a direct result of our scientific and engineering progress. In the early part of the 20th century, regulation of safe drinking water took another step. The first U.S. numerical drinking water regulation was established in 1914 when the U.S. Surgeon General through the Department of the Treasury set numerical limits for bacteria in drinking water used in interstate commerce. In the years following, drinking water regulations were expanded to cover more contaminants and strict numerical limits. The 1962 U.S. Public Health Service drinking water standards were the last ones established by the federal government that only applied to interstate common carriers. The 1974 Safe Drinking Water Act changed everything. The USEPA was ordered to set numerical standards and treatment techniques that ultimately applied to all community water systems in the U.S. through state regulation and primacy. Thus the general concept of pure and wholesome decreased in importance over time, as we got smarter about the science of water quality. No one uses pure and wholesome anymore, right? Not so fast. The term is included in the California Safe Drinking Water Act and is probably embedded in a number of other state laws on drinking water. The current version of the Act states that water must be delivered that is pure, wholesome, healthful and potable. At a water conference in November 2013, a senior official of the California Department of Public Health, Drinking Water Program, stated that she found the requirement for pure and wholesome water useful because it covered situations that were not specifically mentioned in the numerical regulations. It gave her latitude to improve drinking water quality, and, yes, make the water more pure and wholesome. The user can choose up to five words separated by commas or one phrase of up to five words (or any combination as long as you do not exceed 5) and a graph will be created showing how the word or phrase usage has changed over time. Linguists mostly use the viewer to study esoteric word usage that I certainly do not understand. My friend, Geoffrey Nunberg, finds it useful in his advanced linguistic research. I wanted to find out how far back the term pure and wholesome was used in both British and American English. Information from both variations of the language would be related and helpful. Figure 1 plots the relative usage of pure and wholesome from 1500 to 1800. By the way, the percent value plotted on the y-axis is the percent usage for that term compared to all other 3-word terms used in any particular year. The number of books scanned before 1800 is relatively small and care must be used in interpreting the graph. For example, it is not necessarily true that the first time that pure and wholesome is mentioned in a book is 1685 as noted on the graph. It is more likely that Google has not scanned any books covering this subject matter before that year. One of the earliest references to pure and wholesome water using information from this graph was from a medical advice book from 1759. The author uses the term in a manner that seems to indicate that he is quite familiar with its meaning and context. For Google data between 1800 and 2000, Figure 2 shows that the usage of the term pure and wholesome was relatively high and consistent between 1800 and about 1910 except for an interesting bump that peaked in 1840. After 1910, the usage of pure and wholesome drops dramatically until it is little used (relatively speaking) in the year 2000. Also plotted on the graph is the relative occurrence of the term “pure and wholesome water.” The overall term pure and wholesome was used to describe the desired quality of water, air, milk and food. The graph shows that the variation in the relative usage of the two phrases was equivalent over the period shown. What about the bump? I can only speculate that the dramatic rise in usage of pure and wholesome was triggered by the first cholera pandemic that originated in the Ganges Valley of India and swept through Europe, England and the U.S. before dying out. Newspapers were filled with terrifying stories of the progress of the disease, which struck with fury in England and the U.S. in 1831-32. Successive pandemics plagued the world until the last one in the early 1890s, which was somewhat controlled by strict quarantine regulations. Given the obsession with this disease, it is not hard to imagine that book authors were writing about what was pure and wholesome between 1830 to 1850. Figure 3 shows that the relative use of the word cholera in books started to drop after 1900, but interestingly, it shows a steady level of low relative usage until 2000. In other words, we are still writing books that mention cholera today. Just think about the disaster that is still unfolding in Haiti if you need a recent example. In some ways, problems with typhoid fever replaced those of cholera in the late 1800s and early 1900s with the peak being reached in 1915. 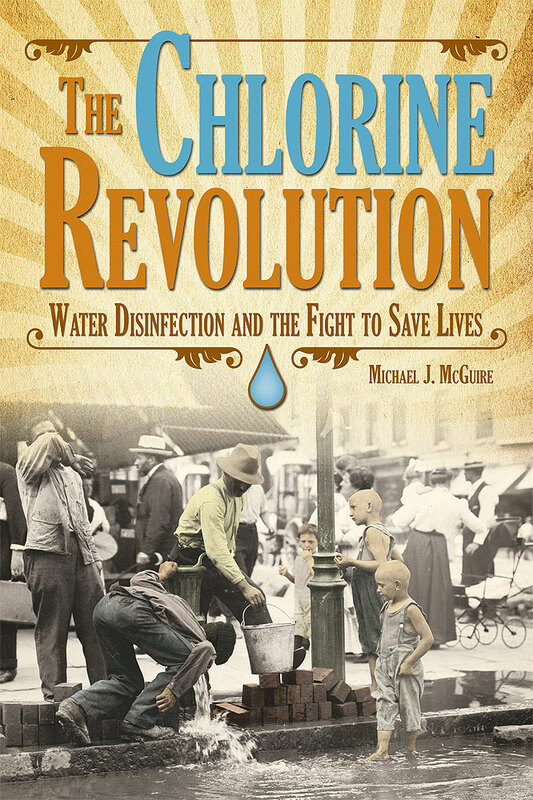 Not surprisingly, mention of typhoid in books began to drop after that year due to the widespread implementation of filtration and chlorination of water supplies. Figure 4 shows that while the relative usage of pure and wholesome water declined from 1910 until 2000, the relative usage of the term “water regulation” increased, beginning about 1900 with a significant increase in usage about 1925. These word-usage patterns may explain what we already know to be true—that specific drinking water regulations began to replace narrative use of the term pure and wholesome beginning in the early part of the 20th century. 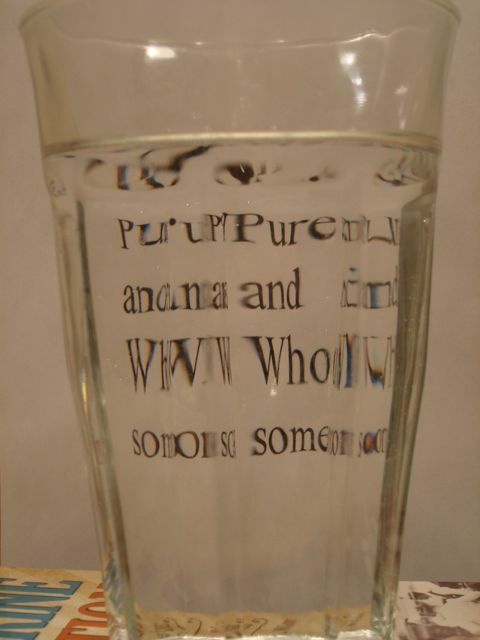 Pure and wholesome was first used to describe the quality of air, water, milk and food. To be designated as pure and wholesome, these substances had to meet the standards of the day as defined by the human senses. The description of a water as pure and wholesome was one of the first ways that people defined safe drinking water. As we developed analytical methods and an understanding of toxicology, our definition of safe drinking water expanded to include numerical limits placed on individual contaminants. In the U.S., the rise of drinking water regulations has generally replaced the terminology of pure and wholesome, but the term has not disappeared. As long as it is enshrined in legislation and regulation, we will continue to see this artifact of the past used as part of the definition of safe drinking water. Ainsworth, H. 1639. Annotations Upon the Five Books of Moses, the Book of the Psalmes, and the Song of Songs, or Canticles. London:M. Parsons, Song Chap. VII, 52. Beck, M.B. 1984. “Topic of Public Interest–Water Quality.” J. R. Statist. Soc. A. 147:2 293-305. Blake, N.M. 1956. Water for the Cities. Syracuse, NY:Syracuse University Press. 50. Berenger, Charles Random de. 1828. “Reflections and appeals which have been presented to the official departments on the Game Laws, etc., the regulations for granting patents for inventions, and the means of securing large supplies of pure and wholesome water, being subjects of great national importance.” Bristol Selected Pamphlets. University of Bristol Library Stable. http://www.jstor.org/stable/60247206 (Accessed: November 24, 2013). Daisy, Michael (ed.). no date. “Detroit Water and Sewerage Department: The First 300 Years.” http://dwsd.org/downloads_n/about_dwsd/history/complete_history.pdf (Accessed November 23, 2013). Google Books Ngram Viewer. https://books.google.com/ngrams (Accessed November 24, 2013). Hill, J.W. 1915. “The Cincinnati Water Works.” Jour. AWWA. 2:1 42-60. “Hemlock Lake.” http://www.cityofrochester.gov/article.aspx?id=8589936601 (Accessed November 23, 2013). Islam Awakened Qur’an Index. 2013. http://www.islamawakened.com/quran/5/..%5C5%5C88%5Cdefault.htm (Accessed November 24, 2013). Kemna, Adolph. 1905. “Purification of Water For Domestic Use—European Practice.” Transactions ASCE. 54:Part D 160. Lipsius, Justus. 1584. His Second Book of Constancy. http://people.wku.edu/jan.garrett/lipsius2.htm (Accessed October 8, 2013). Magie, William J. 1910. In Chancery of New Jersey: Between the Mayor and Aldermen of Jersey City, Complainant, and the Jersey City Water Supply Co., Defendant. Report for Hon. W.J. Magie, special master on cost of sewers, etc., and on efficiency of sterilization plant at Boonton. (Case Number 27/475-Z-45-314): 1–15. Jersey City, N.J.: Press Chronicle Co.
MacKenzie, J. 1759. The History of Health and the Art of Preserving It. Edinburgh:William Gordon 103. Page, D., O’Leary, G., Boland, A., Clenaghan, C. and Crowe, M. 2002. “The Quality of Drinking Water in Ireland: A Report for the Year 2001.” Environmental Protection Agency (Ireland). 98. “Parashat Vayetze – No Tranquility for the Righteous.” Rav Meir Kahane and Binyamin Kahane Torah Blog. http://tzipordror.blogspot.com/2011_11_27_archive.html November 27, 2001. (Accessed November 24, 2013). Porter, T. 1661. A Compleat Delineation and Description of the Several Regions & Countries in the Whole World;: Abridged & Comprised in a New Mapp Thereof; Supplied with Easy Rules and Directions, for the Benefit and Pleasure of the Reader. London:Robert Walton 18. Sancta Missa. 1962. “Blessings of Places Not Designated for Sacred Purposes.” Missale Romanum. http://www.sanctamissa.org/en/resources/books-1962/rituale-romanum/51-blessings-of-places-not-designated-for-sacred-purposes.html (Accessed October 8, 2013). Singer, N. 2013. “In a Scoreboard of Words, a Cultural Guide.” The New York Times. December 8, 2013. Stevens, Frederic W. 1908. In Chancery of New Jersey: Between the Mayor and Aldermen of Jersey City, Complainant, and Patrick H. Flynn and Jersey City Water Supply Co., Defendants; Opinion, May 1, 1908. Thresh, J.C., Beale, J.F. and Suckling, E.V. 1933. The Examination Of Waters And Water Supplies. Philadelphia, PA:P. Blakiston’s Son & Co., Inc. 90-93. Vile, J.R. 2003. Great American Judges: An Encyclopedia. vol. 1. Santa Barbara, CA:ABC-CLIO, Inc. 635. Whintringham, C. 1718. A Treatise of Endemic Diseases: Wherein the Different Nature of Airs, Situations, Soils, Waters, Diet, &c. are Mechanically Explained and Accounted for. York, England:Grace White 87. Whipple, G.C. 1907. The Value of Pure Water. New York:Wiley 2-4. This entry was posted in Information and tagged air, drinking water, food, Geoffrey Nunberg, Jersey City, Jon Orwant, milk, Ngram, Ngram viewer, pure and wholesome, safe drinking water, The Chlorine Revolution, water history, Will Brockman. Bookmark the permalink. Mike – a fantastic post. One thing worth pondering — the use of the phrase “pure and wholesome” contains two words. Based on what you have teased out, can you differentiate the meaning of “pure” versus “wholesome”. It might be worthwhile asking some of our asian colleagues whether such strictures appear in the early religious writings of those societies. Thanks, Chuck. Good ideas to follow up on. Very good. I am on my way to Sacramento to get an update on the legislation and current regulatory proposals. 2015 is the 100th birthday of the California Drinking Water Program in the Department of Public Health. If the program still exists I hope to generate some interest in a celebration of some sort. Perhaps I can get the Section involved. Count me in for any CDPH celebration activities! This comment was sent directly to me by email: “This is so so interesting; I too have thought about these words of “pure and wholesome” often throughout my water career. While at first I had literally interpreted it as water meeting all DW standards and then later on progressed to appreciate it more on its poetic rather than scientific/technical aspects. Pure and wholesome to me these days are more than just numbers set by the laws and regulations, but it is the highest level of goodness in life. Thanks Catherine. I am really happy that you enjoyed the article.